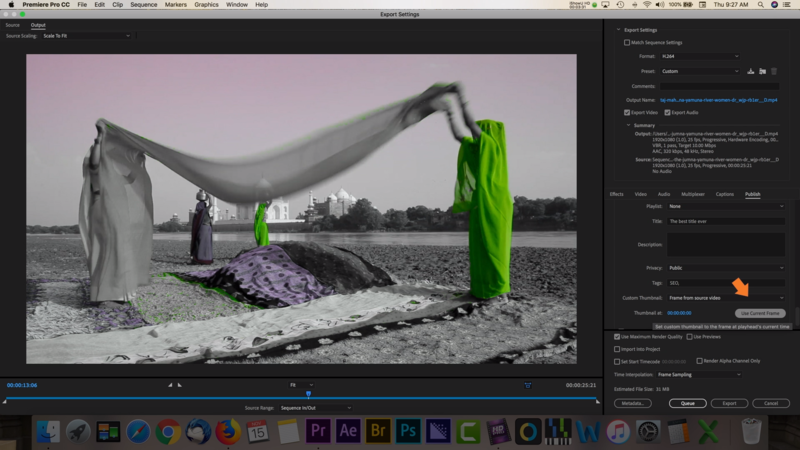 This tutorial explores the new YouTube export options in Adobe Premiere Pro CC 2019. This release came out in 2018, so these features are available now. With YouTube being the largest online video library out there, Premiere Pro has made it really efficient to get your video from Premiere Pro to YouTube with a few clicks. The Publish feature can be found in the Export settings when your video is ready for posting. Select File > Export > Media. 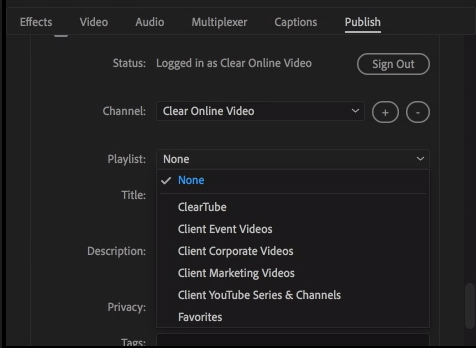 Navigate over to the Publish tab and you will see the list of several platforms and apps where Premiere Pro can distribute your video (Figure 1, below), including Facebook, Vimeo, Twitter, YouTube, and more. Now, you'll have to connect any of these accounts if you haven't already. Some take a few steps, but overall it's a pretty easy process. We'll scroll down to the YouTube section of this panel. From the top down we'll see the status of our login and also the channel that we want to send the video to. Note that you can add multiple channels, so this really comes in handy if you're posting to several different client channels. Now, the next few options are really important to the success of your video and these are things that YouTube highly recommends in optimizing your videos for their platform. Starting with the playlist (Figure 2, below), you can add said video to a playlist on YouTube so that your video gets categorized with other relevant content on your channel. Additionally, you'll want to add a well-crafted and researched title. This is also important because you want YouTube's algorithm to have all of the correct info about your video as soon as possible, rather than updating a title after it's posted. The description section is where you can insert the overview for your video along with any links and other relevant information. Next, you can specify whether you want this video to be public, unlisted, or private on YouTube. I'd recommend making this private if you're going to go back on the actual YouTube platform and update things like titles, keywords, or thumbnails at a later date. We can also add the relevant tags for our video so that our video has a better chance of being found on YouTube. You want to think in terms of search and SEO with these tags. Last but not least, we're now able to add a custom thumbnail for our video. This will serve as the icon or mini-billboard for our video. The YouTube thumbnail is so important that many of the world's most popular YouTubers will come up with a thumbnail idea before they shoot any video. It's so important to have a good thumbnail and Premiere Pro has recognized that with this feature. You can pull a thumbnail straight from the source video by using the slider and the timeline area and then choose the Use Current Frame button when you’ve found a compelling image (Figure 3, below). I like to take my images into Photoshop for further editing. So I use the from image file choice back in the drop-down. This allows you to browse for a JPEG or image on your system. Figure 3. Using the current frame as your YouTube thumbnail. Click the image to see it at full size. When you finally have all of the areas entered, you can choose the Export option to send your video to YouTube. 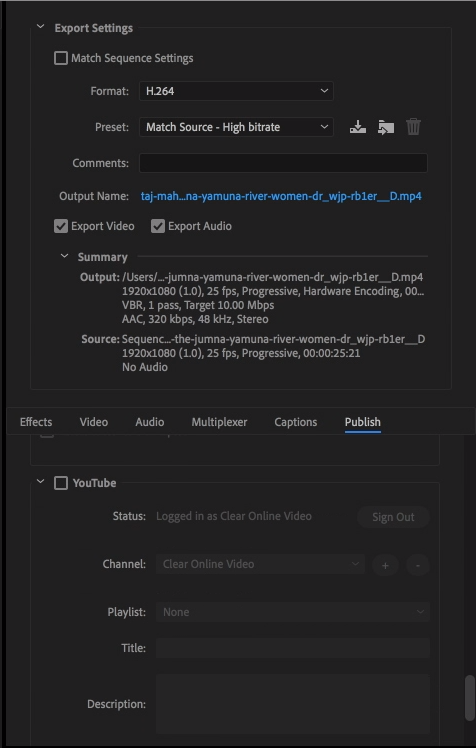 Now Premiere Pro will export and create the file first according to the other settings you've selected and then it will upload and distribute that file to YouTube. I love using this feature, and with these powerful choices right inside of the Adobe encoder we can really streamline the distribution process. Thank you for watching and be sure to check out my other tutorials on Streaming Media Producer.